As consultants we are often hired to evaluate the security of kiosks or computers that are designed to interface with the general public. The most secure configurations are ones that limit user interaction to the file system, command prompts, and the Internet. 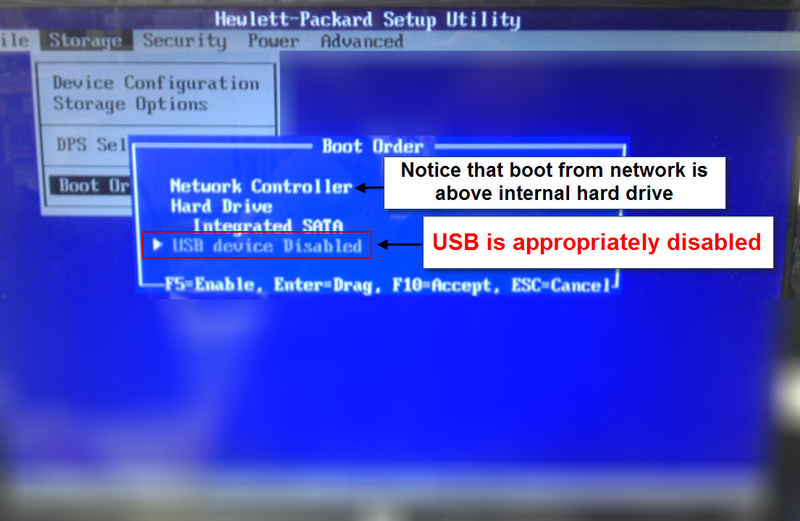 One of the best ways to limit user interaction to the hard drive is to lock down the Basic Input/Output System (BIOS) to help prevent booting to alternative Linux distros. This includes disabling booting to USB devices, locking down the boot order, and password protecting the BIOS. In various engagements we will run across kiosks that are fairly locked down, but still vulnerable due to a very commonly seen BIOS configuration. 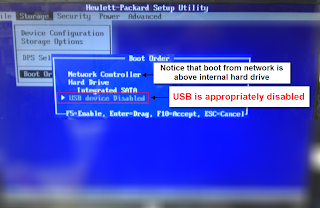 This article discusses how attackers can take advantage of this BIOS setting to allow the Preboot eXecution Environment (PXE) to be an administrator’s best friend and worst enemy. When assessing kiosks, one of the first things that we test for is the simplest—USB port access. If the kiosk is in a cabinet—is the cabinet locked? Are there USB ports on the monitor or keyboard? Is the kiosk out in plain-sight with USB access galore? In any case, if we have access to a port, we will check for drive recognition upon boot and also while the system is already running. If the kiosk is properly secured, developers will have made some attempt to lock down access to the file system. By doing so they are hoping to prevent access to intellectual property, file shares, configuration files, and access to the Windows Security Account Manager (SAM) files. One common bypass to file system logins is to boot to a USB drive that is running a lightweight Linux Operating System (OS). 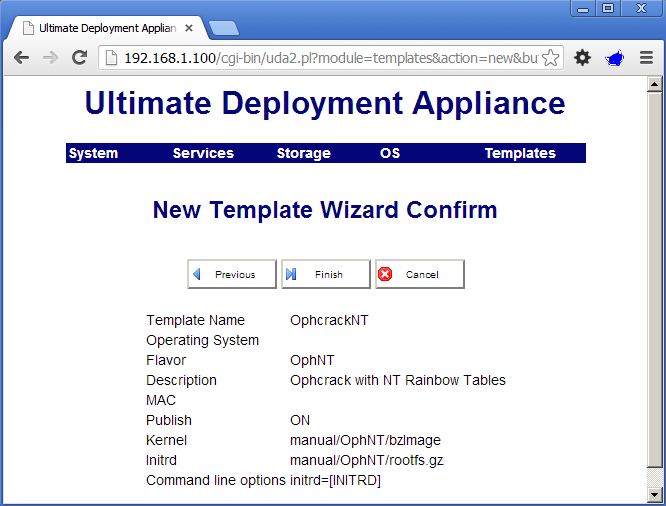 Since the kiosk environment does not have a chance to boot, it does not lockout the attacker. As a bonus, files that are normally “locked” because they are in use by a running Windows operating system are now unlocked and accessible. Some developers take the time to lock down the kiosks. While booted, the kiosks execute with limited (non-admin) users, they block most command prompts, hide most start menu options, and block access to the file system. They also take it a step further by disabling USB devices during boot, locking down the boot order, and disabling modification of the BIOS. However, one thing that we notice is that the kiosk BIOS is usually configured to boot to the network (using PXE) first. Below is an example of various setups we have encountered. Figure 2: The network flow diagram above shows the typical PXE sequence of events. Administrators also know that building a PXE server can take time and effort. 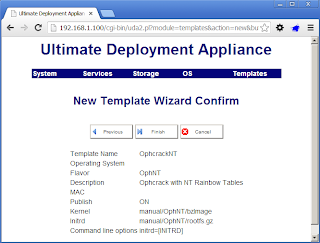 Since we typically only have one week for these types of engagements, we needed something flexible, portable, fast, and idempotent to the victim OS. 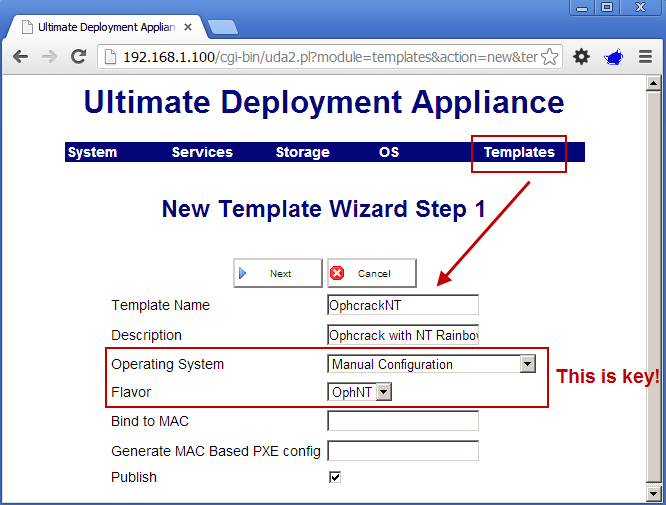 Our approach to building the evil PXE server is just one of many conceivable implementations. This solution was assembled after a few hours of research and troubleshooting. Thus, we are certain that more graceful options are possible and we would love to get your feedback via our contact information at the end of the article. This section is really a matter of personal preference and could include any lightweight bootable Linux distro such as Knoppix, BackTrack, Kali, Ophcrack, and even REMnux (known for its forensic capabilities and utilities). The key is that these images need to be bootable live images that do not rewrite the disk. 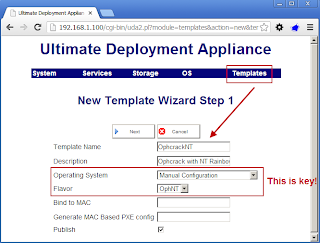 Using ISOs with built-in attack tools make the job a little easier. Since the target in our example was running Windows 7, we are demonstrating PXE booting to an Ophcrack LiveCD with various NT hash rainbow tables. We started with the Vista Free table. Figure 3: Picture of the environment we are trying to build. 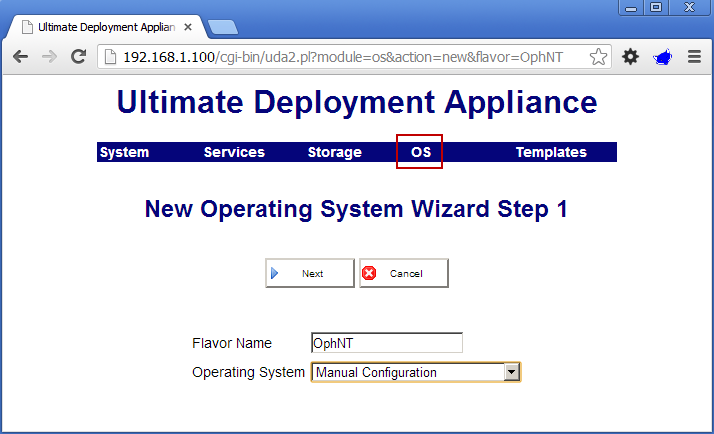 Step 2) Extract the UDA download and open it in your VMware product (player or workstation, etc.). 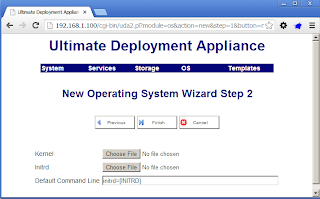 UDA version 2.0 has an easy to use first boot wizard as shown in the screenshot below—use this to configure the network settings of your PXE server. The network settings should either match the range of your targets or you can set up an isolated network using a switch, a laptop, and your target. 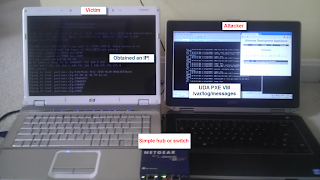 Figure 4: Example network settings we used because we set up an isolated environment with only one victim by connecting our laptop and the victim host to a standard home-use switch. 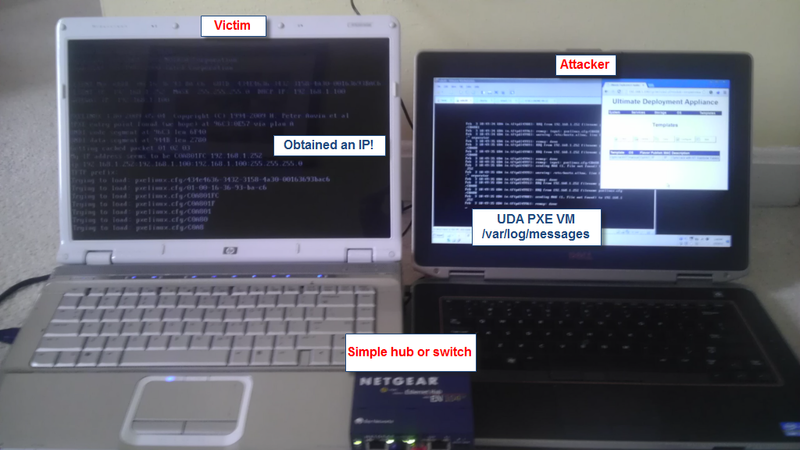 Step 8) Configure the PXE config options to include your attack image. 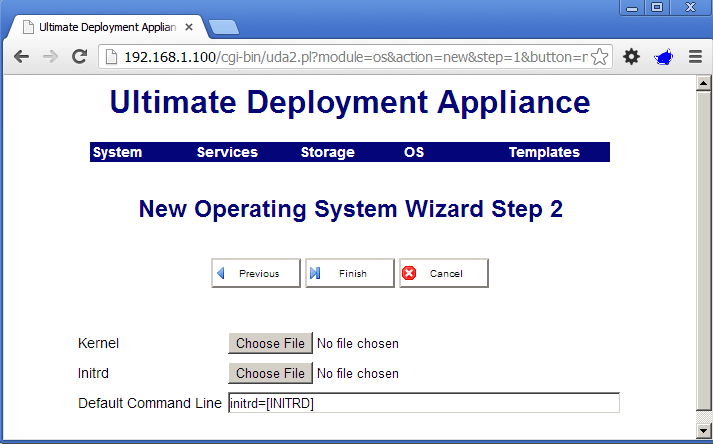 This is where we could not find instructions on how to configure the PXE to mount the ISO. Even though our method worked—it is probably not the most graceful. On the next screen, you will select the kernel and initrd file you extracted to your host OS then click Finish. You are now ready to boot to your PXE attack server. 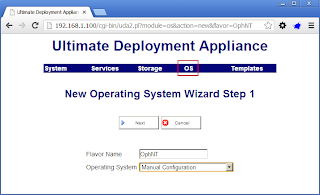 On-site, we usually setup a separate network using a home-use switch to prevent us from disturbing any other hosts on the client network that happen to reboot while we are connected. Log in by hitting enter and you will see a message stating that the rainbow tables were not found. No problem, we shared them via NFS. Now, you will see the tables being loaded into RAM and with a little luck the password will be cracked. 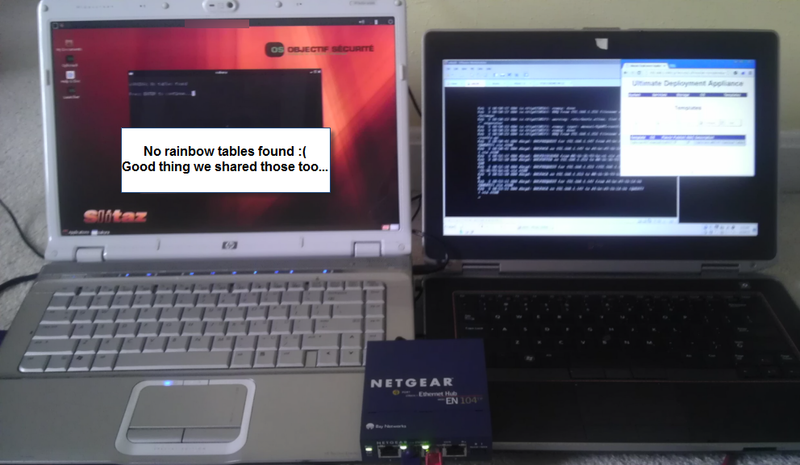 Figure 15: The picture above shows the tables being loaded mounted, the hashes loaded, and the password cracked. Note that even if you are not able to crack the password, you still have hashes. You could use a tool such as Metasploit’s psexec module to pass the hash and obtain access to the host. We have shown you what is possible when an environment has the BIOS locked down, but is still set to boot to PXE first. Using our proof of concept, you can quickly build this PXE attack server and test your vulnerability to this attack vector. As mentioned before, this was the result of a few hours of research and troubleshooting. We are open to any feedback on how to make this work more fluently (particularly the section which pertains to having PXE boot the ISO) or another solution if you have one that is more graceful. Thanks for reading and happy hacking! SecuritySynapse is a corner of the web that is dedicated to improving our digital efficiency and security. This site is run by a group of open-minded security professionals who like to share experiences that could benefit the community at large. We believe that when properly integrated, security and usability do not have to be inversely related. Most of the articles will be security related and/or pro-tips, however we are open to all authors and topics. We just ask you to keep the blog posts clean, morally sound, and legal.